"I came to the realization that dieting just doesn’t work... MetPro is very different." David Villano has over 30 successful years of IT experience across multiple industry sectors (financial, pharmaceutical and media). As the former SVP of Enterprise Information Technology at Cablevision, and as the Chief Technology Officer of the recently acquired SaaS platform, Operative Media, Inc., David’s ambitious mentality has always pushed him to find the next big thing in business, but when it came to his David’s personal life, his health came second. When David was younger he was an athlete, a martial arts competitor who also played competitive baseball. As he got older and transitioned into the work arena, his time for the active hobbies he once participated in became limited. Sitting behind a desk day after day led David to gain weight. As time went on, he found himself unhappy. By the age of 40, David weighed 350 pounds with type two diabetes and dysplasia in both of his hips. It was this stage in David’s life when he decided that he needed to make a lifestyle change. 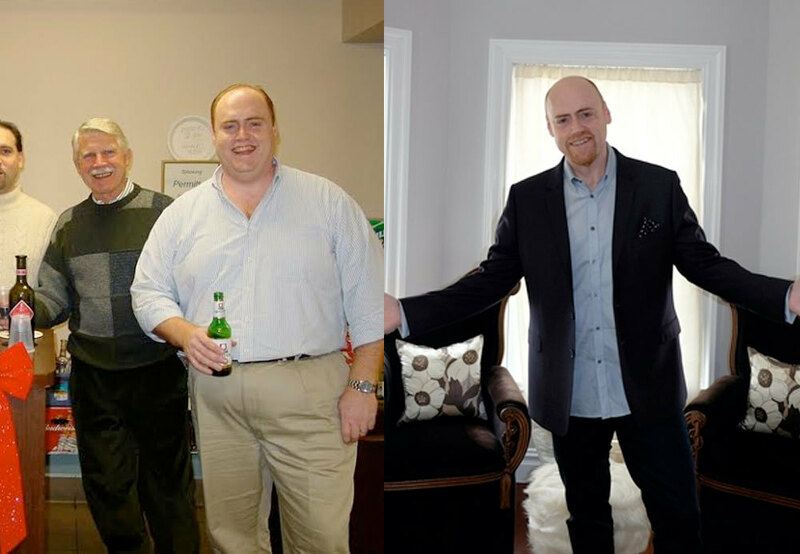 Over the course of the 7-8 years that followed, David had lost about 80-90 lbs of weight, but he never experienced that feeling of wellness or found himself in the range he wanted to be in to feel comfortable. During this time, David hit another roadblock. He was involved in a major car accident that shattered his collarbone. This was the first time in David’s life when he started to feel feeble. As he neared the age of 50, David realized that time was not slowing down. He was getting older, and now with this serious injury and excess weight, he wasn’t ready to be too old to keep up with children, nor was he ready to give up. He never found any real consistency with his health, and often experienced the dreaded “yo-yo” effect of dieting. He needed something different, something that would help him better himself once and for all. David started searching the web for ways to gain his strength and health back by looking for mobility workouts, and workouts about improving posture. He came across a TEDx Talk from Transformation Specialist Angelo Poli about technology's impact on our posture. In this moment, David knew this was his guy. After some preliminary research on Poli, David discovered that not only was Poli an expert in Neuromuscular Re-education (Posture and Alignment), but also an expert in nutritional sciences. He soon learned that Poli had founded a company called MetPro (Metabolic Profiling), which provide concierge nutrition, fitness, and lifestyle coaching. David immediately scheduled a call with Poli and his team at MetPro. Over the course of the next few days, David spent time on the phone with his nutritional coach discussing a diet strategy that worked for his current physical ability and lifestyle. “After discovering MetPro, I knew this was something that would help and allow me to stay focused on a regimen that was guided. I could no longer train like I did when I was 28. My knowledge in this space needed to be fortified,” said David. David and his MetPro coach first started off slowly on restoring David’s range of motion. Within a 3-week period, he already started to feel a whole lot better. During this time, Poli and his team of experts used David’s MetPro ID to make small adjustments in his diet phase to maximize his results. From there, they were off and running. With daily check-ins, meal prepping and helpful tips along the way, within one month David had tremendous progress, and by month two David was in the groove with the program. With the help of his coaches and the concierge service, David was able to adapt to the MetPro system fairly easily. While traveling for business or vacation, MetPro’s concierge service helped David navigate his meals and business dinners by providing specifics from the restaurants he was dining at. David also got in the habit of packing healthy snacks for in-betweens meals. After a while, David understood how to pick out meals while traveling, and what he needed to eat in order to stay on track. MetPro’s concierge service was extremely helpful for him because he never felt as if we was “off” the program. Although he wasn’t able to measure out each meal while on the road – like he would at home – he always had the support of his coaches to keep him accountable. “MetPro was a simple to follow approach that I could integrate into my busy lifestyle, to make a true change in my health and fitness level. Like all lifestyle changes, it requires some discipline, but with MetPro, I found an easy way to realize and sustain my health and fitness goals." said David. At Age 50, David has lost over 100+ pounds and kept the weight off. He has more energy, is sleeping better, can still outrun his 14-year-old in a foot race, is in a wonderful relationship and recently was a part of an exit with a company valued just under $200 million. He believes that due to his commitment to the MetPro lifestyle, he has improved his quality of life. David’s experience managing his health gave him more than weight loss and strength, it bettered his relationships, changed the way he handled business and altered his outlook on life. David’s journey back to health was not an easy one. Through mental and physical plateaus, David looked to the support of his coaches to help keep him moving. “Angelo and his team’s positive-can-do-attitude was infectious”, says David. This energy, encouragement and positive attitude was important for David’s success. His MetPro coaches never allowed him to get down on himself, and they always had an option and approach to breakthrough both mental and physical plateaus. One of the biggest lessons David learned is that if in a remote location, you can’t use that as an excuse to not exercise or to overindulge and train wreck your diet. With MetPro’s in-app exercises, you have access to an unlimited amount of exercises you can do from the gym, home or your hotel room while traveling. Another lesson that helped David become successful was finding new ways to invigorate himself. Not only was his diet being adjusted for best results, but David and his coaches constantly switched up his activity from strength training to yoga. “Instead of looking for what's next, I learned to be grounded and take on the mindset that even if I did fall off, I’m not too far from the next best decision. You can stay on track without veering off too far,” says David. Today at 50 years young, David isn’t looking to get ripped (although he knows he could do it), he’s looking to maintain his health. He no longer stresses over the progress or beats himself up about obtaining fast results – instead, he focuses on his overall well-being.